In June of this year, Rep. Alan Grayson (D-Fla.) introduced an amendment to halt the Pentagon’s 1033 program, which distributes hundreds of millions of dollars of military-grade weapons and equipment to local police annually. The amendment overwhelmingly failed, and just seven out of 41 voting members of the Congressional Black Caucus (CBC) supported it. Cleaver supports military weaponry being funneled to local municipalities. When you peel away all the qualifying words, that’s what he’s saying. A bombshell Huffington Post report published last week details the sheer cravenness and hypocrisy of many CBC members. As the report thoroughly lays out, even though Wall St. systematically targets African-Americans with its mortgage fraud schemes, members of the CBC have been actively doing Wall Street’s bidding, even working to upend legislation intended to rein in the worst offenses of the greediest banks. You can find the full list of members who voted yay and nay on military weapons being given to police here. WE are trying to exist with legal representatives who have no obligation to protect us or our interest, this leaves us defenseless against political enemies who wish to do us harm. THESE people are there to protect us against bad policies such as arming the police with military equipment. THINK about this my people our representatives could care less if the local police that we have a long history of abuse with have tanks and APCs therefore exposing us to military assaults in our own communities. IF this doesn’t make it clear to you who these people are and what they think of us than nothing will and keep in mind this has been going for at least 4 decades and it has led to the complete destruction of our communities. IT’S time to wake up and confront these traitors and let them know we know who they are ! Have you ever seen any of the CBC members walking down the street in our community shaking hands and talking to people? Well, maybe John Lewis. But what about the others. The CBC is out of touch with its own people. That is part of the problem. How can an agenda be created if the needs and wants of the people are unknown? What about research? If they were in touch with their communities they would discover that there are saints and sinners waiting to be inspired but not controlled by army cops, then they would have voted against this militarized approach. Wow…see this is why we dont trust our leaders…how dare they…we need toget them.out of.office as well and pay.more attention to who we r voting for..
Yolandap11 Why o street thugs reman better equipped, you would be asking for mehem lady, especially in FLA. This Is the second disturbing report about our black electorate. There was another report, earlier that stated that the CBC has made many deals with Wall Street, which has been counter productive to the black community. When we wonder why we take one step forward and two steps back, we need to look at our so-called representatives. Who are they representing, really? We have black representatives. We have NO leaders. 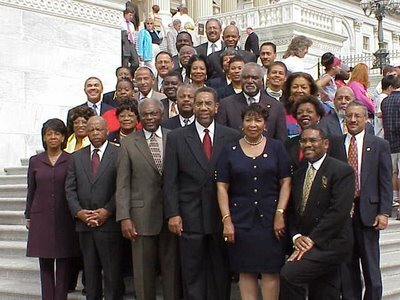 Forty of the most senior members of the House of Representative r the most Cowardly, Hypocritical, Subservient nigg#%ers in America. They r firmly in the POCKET of huge corporation. Yolandap11 These people are not our leaders, they are POLITICIANS ( People of many lies). terrri we can not depend on anyone we have ourselves & the most power we need & this is our true Devine God. we have been given the gift of blackness & the gift of life & this was not given to us by man. we need 2 B real on true life here & having a so call house N*** er N the white house is not the only time we have been deceived & continue been ignorant. we R just sitting ducks 2 use as they C fit. but, put the brakes on like we train our kids we have 2 use reverse psychologist bc we R just feeding these leaches. the big key is division this is what they made sure of bc they know what we can do & B 2gether. we have the tools & the brain power lets act like we do & take back our lives like they stole it from us but U gotta B ready bc it is gonna B nothing nice. Let’s give our Creator what has been put N us like the Kings, Queens, warriors, & leaders that we R. they R bc of us & without us they will not B so lets stop giving them our power 2 use against us & remember U can not let the right hand know what the left hand is up 2 bc then one will B ahead of the other & everything is been monitor realize this !! This is why I never have and never will respect elected black officials. Like Obama, the vast majority of them are nothing more than sock puppets for liberal white agendas. Black people will wake up one day. I just hope I’m alive when it happens. gayedgerhooverfbi This is why I never have and never will respect elected black officials. Like Obama, the vast majority of them are nothing more than sock puppets for white agendas. Black people will wake up one day. I just hope I’m alive when it happens. These tired, subservient, boot-licking house Negros are nothing more than sorry sock puppets for liberal white agendas. terrri Most are in-the-pocket sock puppets who bend to the will of liberal white agendas. We have to ask our own people when will they wake the f$#@ up and start smelling the coffee. This type of exploitation occurs because too many of our people allow it to. Yolandap11 You sound naive. You didn’t know this was going on all these years, dear? ROBERT@atx Our people will never wake up. They enjoy being asleep, exploited and dehumanized. They’ll continue to run to the polling place to vote for people like Obama and the rest of these spineless sock puppets. No national “grassroots…!”.. A constituency subject to useless policies …., And depleting constitutional, civil and voters citizenship…. What’s next, begging for food professing Christianity to supremacy sinners? Congresswoman Gwen Moore (WI) is one that is in her community quite often. what’s next Grenade Launchers ????????? HOPEFULLY members of the criminal black caucus has gotten the message through this black website and others that we are watching them and they should be serving our interest and no others. RECENTLY one them introduced a bill to roll back the militarization of the police something they could have voted for in the bill 1033 mentioned in this article, this also means we have to stay on top of these people because they won’t do right unless we make them. ALTHOUGH the sponsor of this bill did initially vote for 1033 we all now know that most didn’t we have to make sure they support this bill. As usual not surprise since some of them are boule members and other secret society types. They have no choice if they want to keep those house, type,advisers to the king jobs. gayedgerhooverfbi _get your guns up !!! Again! Again My Black People! Again another Evil White devil kills a elder Black Man in his driveway after a low speed chase! A National Call for all Black People to Separate Totally from this Evil White Babylonian Empire! A Total Withdrawal! A National Unity of a Black Nation within America to govern ourselves! Let’s bring back the Black Panthers who back in the 60’s patrolled Black communities protecting Black People- The Black Panther Security Force- Separate permanently from this White Evil People- Leave their government to form our own! Support our businesses like was done in 40’s,50’s,60’s is the Only Answer! Accept the Pure Fact- They don’t want us Niggers any More ok! Don’t listen to False Black leaders selling that Dead American Lie and Can’t we just get alone melody- Unite Black People return to our True God Yahweh and His son Yahweh Ben Yahweh- Our Only Redeemer and Savior! The Pharaoh of this day has turned up the Heat and made the Taskmasters-The Police, The FBI, the Criminal Court Systems-where the evil white criminals get just-us to kill and get paid for it!-The well paid-off politicians sign bills to take away your Nature rights under this so-called demon-democracy under evil white people rule- Wake Up People! Read how the Black Children of Israel had to cry out for the Black God Yahweh to save them- Those are and were our Black Brothers and sisters under Pharaoh of that time- Now! we this Black mulatto Pharaoh Obama over us now- Crying out to Obama won’t help you now- The best he will offer you is a Bud-light on the White House’s Lawn- but you have to pay for the flight and cover the cost for the room at Budget Inn! My people are suffering injustice all over America- They are now- making you know of a surety that the Dredd-Scott Decision is Real- Black was never-ever a part of America! Their laws spells it out plainly- 3/5 human is still is in effect! Return to the Black Yahweh and His Only Begotten Son Yahweh Ben Yahweh- Leave American Mind-sett- Come out her my people! Baby Babylon will Fall Soon! I hope them or one of their loved ones be the next to be killed by what they voted for…!! They are damn fools and all fool need to fall by their own ignorance..!!! BMWSMITH Again! Again My Black People! Again another Evil White devil kills a elder Black Man in his driveway after a low speed chase! A National Call for all Black People to Separate Totally from this Evil White Babylonian Empire! A Total Withdrawal! A National Unity of a Black Nation within America to govern ourselves! Let’s bring back the Black Panthers who back in the 60’s patrolled Black communities protecting Black People- The Black Panther Security Force- Separate permanently from this White Evil People- Leave their government to form our own! Support our businesses like was done in 40’s,50’s,60’s is the Only Answer! Accept the Pure Fact- They don’t want us Niggers any More ok! Don’t listen to False Black leaders selling that Dead American Lie and Can’t we just get alone melody- Unite Black People return to our True God Yahweh and His son Yahweh Ben Yahweh- Our Only Redeemer and Savior! The Pharaoh of this day has turned up the Heat and made the Taskmasters-The Police, The FBI, the Criminal Court Systems-where the evil white criminals get just-us to kill and get paid for it!-The well paid-off politicians sign bills to take away your Nature rights under this so-called demon-democracy under evil white people rule- Wake Up People! Read how the Black Children of Israel had to cry out for the Black God Yahweh to save them- Those are and were our Black Brothers and sisters under Pharaoh of that time- Now! we this Black mulatto Pharaoh Obama over us now- Crying out to Obama won’t help you now- The best he will offer you is a Bud-light on the White House’s Lawn- but you have to pay for the flight and cover the cost for the room at Budget Inn! My people are suffering injustice all over America- They are now- making you know of a surety that the Dredd-Scott Decision is Real- Black was never-ever a part of America! Their laws spells it out plainly- 3/5 human is still is in effect! Return to the Black Yahweh and His Only Begotten Son Yahweh Ben Yahweh- Leave American Mind-sett- Come out her my people! Baby Babylon will Fall Soon!